Glass balustrades: what are they and why do you need them? Balustrades are panels that provide a barrier or fence, sometimes with supporting posts (balusters). They are typically used on balconies, staircases, terraces or decking areas. 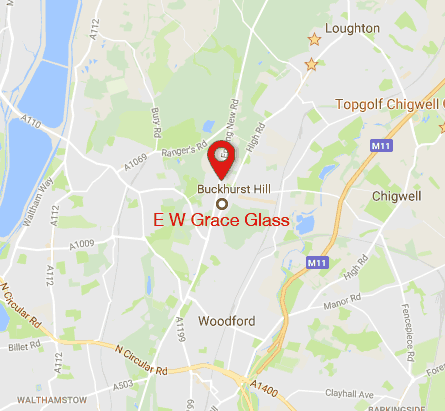 They can be made from a number of materials, including wood, chrome and stainless steel, but it is the glass balustrade – frameless in particular – that the majority of homeowners are now opting for. While their primary purpose is usually as a safety barrier, glass balustrades are increasingly used to add sophistication and a contemporary style, both indoors and outdoors. We take a closer look at the benefits of choosing a glass balustrade system for your home. Well-chosen and fitted glass balustrades look stunning. They create a sleek look; their clean lines and transparent borders allowing uninterrupted views of your room or garden. Glass reflects and plays with the light, adding to the beauty of your surroundings and giving them a more impressive feel. Adding glass balustrades for your staircase, for example, can make it appear like it’s floating! Introducing glass balustrades brings more natural light into your home while transparent borders create the illusion of more space. Glass balustrades are the perfect option for decking or pool areas, for example, where you need a safety barrier but you do not want to obstruct your view. glass can be used as an effective wind breaker on a balcony or decking area without impeding your view of the garden. Glass balustrades can be fully framed, partially framed or frameless. You can choose from a range of glass colours and types, such as tempered, textured, curved, frosted or patterned. They are available with or without a handrail and can be fixed using posts or a channel (where the glass slots into a channel in the floor or ceiling?). This versatility allows glass balustrades to enhance any style of home. Unlike wood or other materials, glass is easy to clean and maintain. You simply need a glass cleaner and cloth to keep it looking fantastic all year round. Even if you should damage or scratch your glass balustrade, polishing can restore it to its original beauty, which is a major advantage over metal or wood alternatives. Modern glass is extremely resilient. While wood requires regular staining and can corrode over time, glass ages slowly and any slight changes are barely noticeable to the naked eye. Glass balustrades can last for decades, retaining the beauty they had when they were first installed. Safe: As well as being strong, today’s technology makes it possible to make glass that is extremely safe. Thick, tempered safety glass can withstand any conditions and is very difficult to break. Even in the unlikely event that it did break, it would not shatter into sharp shards. Glass is recyclable and chemically inert so it is an eco-friendly material to use for balustrades. The popularity of glass balustrades has also led to a rise in the number of Juliet balconies we are asked to fit. Juliet balconies, which derive their name from the famous balcony scene in Shakespeare's ‘Romeo and Juliet’, do not have an extended platform protruding from the house. They act as a frame or guard in front of a door rather than a balcony you can walk on. They work particularly well with glass balustrades because their main purpose is to bring light and air into the room while also providing a safety barrier. A Juliet balcony is a cost-effective way of adding a balcony to an existing house without any additional structural complications. Unlike other balcony options, you do not need to have the foundations of your property evaluated before fitting. You simply need a door or opening and a balustrade to take advantage of them! They can be manufactured to suit almost any opening size. Whether you’d like to open up the views to your garden, bring more light into your room or make your pool area secure, glass balustrades can provide the ideal solution. As always, we would love to discuss your project with you. Please contact us for more details on the options available.